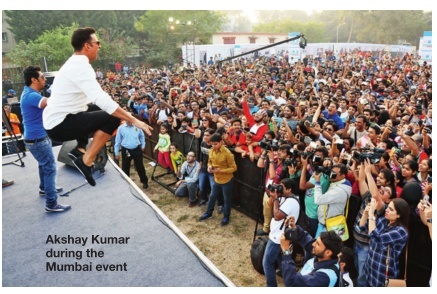 Home » Delhi » Events » Marathon » News in Use » raahgiri days » Delhiites, join Sonam kapoor at this fitness walk on February 14 @7.30 am at Dhyanchand National Stadium, India Gate. Delhiites, join Sonam kapoor at this fitness walk on February 14 @7.30 am at Dhyanchand National Stadium, India Gate. with extreme diets or pumping iron at an expensive gym? All you need to do is put on a pair of sneakers and start walking, whenever and wherever possible. Walking is the easiest way to get and stay fit.An easy yet effective workout for the body, mind and soul, multiple health studies state that walking is a magical pill for people across age groups and can help fight obesity, cancer, depression and skin problems. The walk is to urge people to rediscover the benefits of walking, and the initiative has inspired 70,000 families to get on to the fitness bandwagon. A host of celebs including Sa nia Mirza, Shilpa Shetty , Kri ti Sanon, Neha Dhupia, Kunal Kapoor and Aditi Gowitrikar have endorsed this initiative. 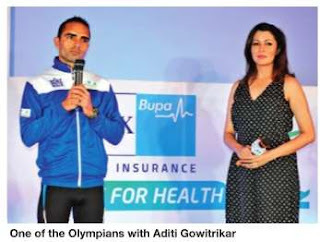 This edition, a 33-day inter state walk from Mumbai to Delhi, is being led by Olympic Walkers, and was flagged off in Mumbai on January 10 by Bollywood actors Akshay Ku mar and Nimrat Kaur. The 1,600km walkathon covers cities like Pune, Surat, Ahmedabad and Jaipur, and will conclude in Delhi on February 14. Adults can opt for the five km walk, while kids and sen ior citizens can go for the two km walk. They will also have 4 free health check-ups, fitness exercises and on-spot contests for all. Delhiites across all age groups can register for free at http:www.walkforhealth.in, or by calling 180030103333. There will also be on-thespot registrations. Participants are expected to report at 7.30am at Dhyanchand National Stadium, India Gate.